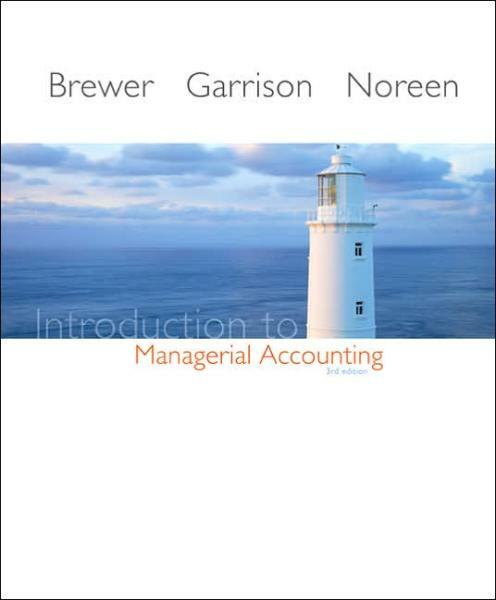 Introduction to Managerial Accounting, 3/e by Brewer/Garrison/Noreen is based on the market-leading text, Managerial Accounting, by Garrison, Noreen and Brewer. However, this is not simply a briefer book with chapters removed; B/G/N has been rethought and retooled to meet the needs of the market.B/G/N 3/e is a more accessible, yet thoroughly student-friendly text that satisfies the basic needs of the managerial accounting student without unnecessary depth on advanced topics associated with the follow-up course, cost accounting/cost management. Faculty and students alike will find this new edition has retained the hallmark features of the Garrison brand: author-written supplements, excellent readability, terrific examples, and balanced end-of-chapter material.